What’s the latest restaurant trend? No, it’s not farm to fork, or dirt to dish, or even market to mouth. 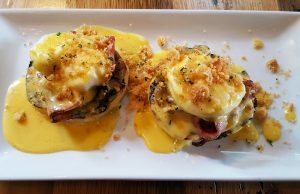 More and more restaurants have added brunch to their culinary offerings as they discover that diners no longer think of limiting brunch to special occasions like Mother’s Day or Easter (although those holidays are both big brunch days for restaurants). The latest local restaurant to add a weekend brunch menu is Juliette Kitchen & Bar. Served every Saturday and Sunday from 10 a.m. to 2:30 p.m., the menu from chef Daniel Hyatt menu draws inspiration from locally sourced ingredients. 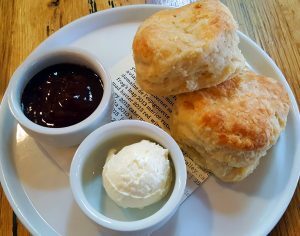 Juliette co-owner Juliette Chung has added her own house-made granola and biscuits to the menu. 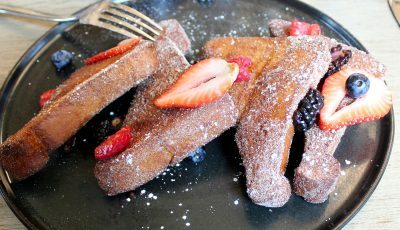 We were invited by Juliette to come and sample the new brunch offerings, and after perusing the menu, were glad we did. The food menu is surprisingly extensive, as is the cocktail menu. 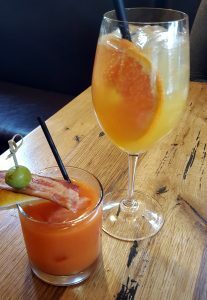 We started our brunch with a Mimosa Lisa (a blend of citrus juices, poblano, and sparkling wine) for Catherine and a Bloody Mary (pancetta vodka, tomato spice blend, bacon and olive garnish) for Christopher. We quickly consumed the biscuits (served with butter and jam), and then proceeded to dig a serving of French Toast with berries and bananas, Eggs Benedict with gourmet ham, plus sides of duck fat potatoes and bacon. We both agreed that the four strips of bacon we ordered were the most perfectly cooked strips we have ever had. “They are a consistent light brown color from top to bottom and crisped perfectly without being overdone or chewy. 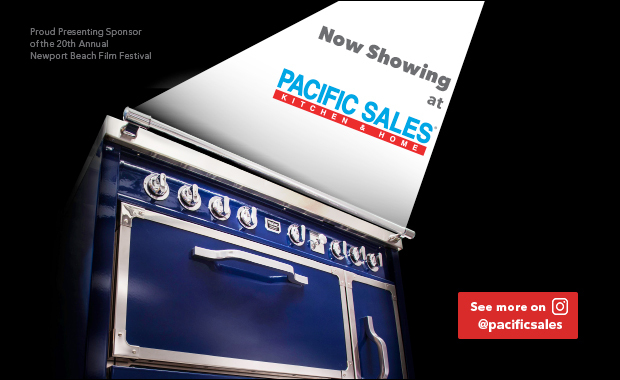 I’m honestly in awe of how it was cooked,” gushed Catherine. Somehow we saved room for an order of beignets, which came with chocolate sauce to drizzle on top. 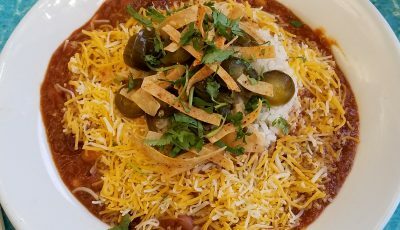 Dishes we want to come back and try: shrimp and grits, corned beef hash, chilaquiles—and more bacon! 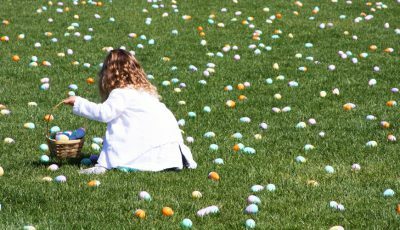 For reservations and more information, please visit juliettenb.com. 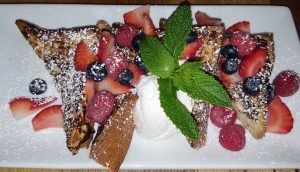 We’ve been frequent diners at Moulin on Bristol Street (next door to Juliette) in Newport Beach since it opened several years ago, and to the Moulin in downtown Laguna Beach that opened last fall. 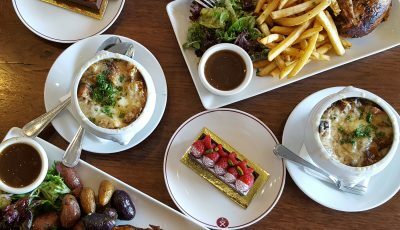 While the Laguna bistro is smaller than the flagship location, owner Laurent Vrignaud has added several seasonal offerings exclusive to Laguna Beach. According to Vrignaud, who created Moulin out of his love for the Parisian cafe culture he’s missed since moving to California, the new menu items are reminiscent of his childhood summers in Paris: hand-crafted ice cream desserts (elegantly served in a traditional coupe glaceé), a house-made Parisian hot dog, and fresh upgrades to the cafe’s made-to-order crepe and waffle station. 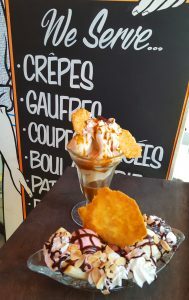 We sampled several Coupe Glacée classiques at Moulin earlier this week, including a Banana Split, Poire Belle Helene (poached pear with vanilla ice cream, topped with chocolate sauce, whipped cream & almond tuiles), and Dame Blanche (vanilla ice cream topped with whipped cream, chocolate sauce & roasted sliced almonds). 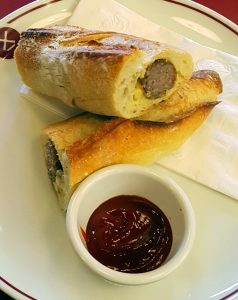 In addition to the classic coupes glacées, Moulin now offers a Parisian hot dog with house-made Toulouse sausage and Dijon mustard tucked into a warm, fresh-baked baguette. “I’m already in love with these hot dogs—they’re easy to eat, and tasty,” added Catherine. Moulin is open from 6 a.m. to 9 p.m. daily. It’s a perfect spot to grab a bite, sit on the small patio, and watch the world go by as you dine—just like they do in Paris. For more information, visit moulinbistro.com.